Jonathan Nicholas Glenn was born on November 20, 1990 in Payson, UT. Jonathan came home to a ready-made “wolf pack” of three brothers, and together they got into all of the things four boys can get up to on their way to adulthood. He loved his little sister, and was her biggest protector and she was his biggest cheerleader. Jonathan grew to be a comical, sweet boy who was loved by friends and family. He graduated from Valley High and attended Paul Mitchell Hair Academy where he added to his collection of friends. 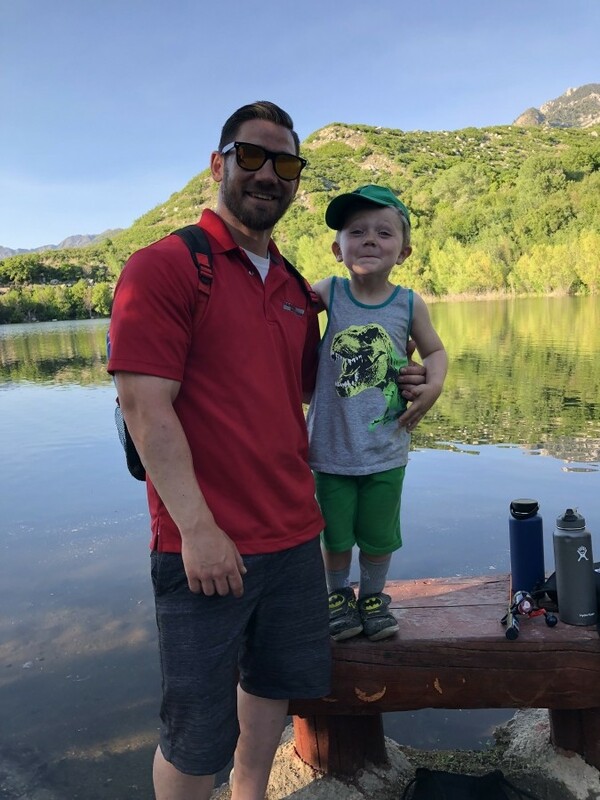 Jonathan loved the gym, eating healthy, the outdoors and fishing, The greatest love of his life was his son Bryson, and he was passing along the things he loved as a child to him. Bryson survives with his mother, Patricia Millett Glenn. In addition to Bryson, Jonathan is survived by his mother, Robin Lowe( Richard Lowe); father,Warren Glenn (Susan Glenn); brothers Garrett Glenn (Valeria Glenn); Tyler (Alexandra Glenn); Jordan (Stephanie Glenn); Ryan Lowe and sister, Hollymarie Lowe. He also leaves two grandmothers, and three nieces; Georgia Glenn, Gracie Glenn and Ruby Glenn. Jonathan was greeted by his Heavenly Father, his paternal grandfather, and his very special maternal grandfather, and is now in their loving care. Bryson, you will always have a loving angel to guide and watch over you! “Chopper”, you have broken our hearts forever, but we rejoice in knowing that you have finally been set free. We will always love you. A wake will be held on Sunday, June 24. There will also be a Mass at St Vincent’s Church in Jonathan’s name.